We were very pleased with the service and would highly recommend. We are so happy that your beautiful family was happy with the service they received, your business is greatly appreciated and hope to work with you in the future! They arrived on time even though it was pouring down rain. They set everything up. 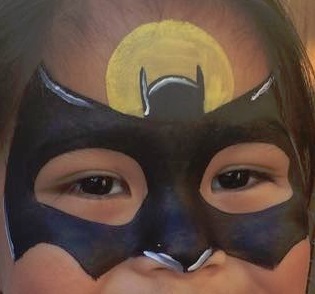 The lady doing the face painting did a really good job on everyone. The man doing balloons was ok . The balloons weren't the very best but the kids didn't seem to care and either did I. They were both very professional and I would recommend them to others. Thank you for the feedback, it is very helpful and much appreciated. Very calm with all those kids in a line. Thank you for having me at your festival, from what I could see and hear everyone was having a great time! Insurance: $1,000,000 - Full Coverage for any type of location. Depending on your needs/wants I will work with you to make it happen. I am always willing to answer any questions. Professional Face Painter, Make-up Artist, Licensed Event Planner. I have been in the party planning business for 8+ years. I am full insured for any type of location. Professional Face Painting Services. Nu Nu Faces is fully insured for any type of location and only uses FDA and EU approved face paints. Licensed Party Planner. 8+ years experience. Nu Nu Faces always comes prepared to meet needs and exceed expectations.